1. Allow Chinese people to invest in China’s top companies like Alibaba. 2. Get rid of the seriously flawed VIE structure. 3. Provide a mechanism to solve the regulatory battles between the United States and China. Is China investing enough in accounting? Accounting is important to China’s development. Zhu Rongji saw that early on and directed considerable resources to develop a CPA profession in China. An investment in accounting is an investment in governance. So is China investing enough in governance? The chart below measures the growth rates in revenue of the Top 100 CPA firms in China and separately the Big Four and local firms that make up the Top 100 CPA firms. I have measured them against the growth in GDP. The spend on ac-counting fees is an investment in corporate governance. 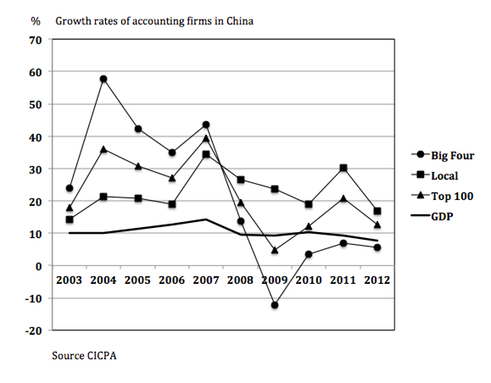 Continue reading Is China investing enough in accounting? 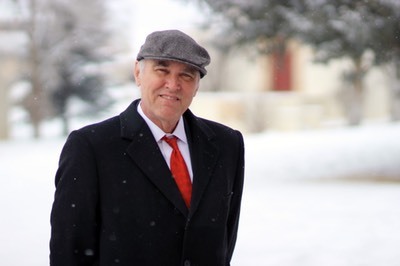 I have been told my post set off a flurry of activity in the accounting firms as they tried to find a way to justify not recording deferred taxes. The IPO filing of Ikang Globin Health Care Group, Inc. shows how accountants plan to deal with the issue. Aggregate undistributed earnings of the Company’s VIEs and its VIEs’ subsidiaries located in the PRC that are available for distribution to the Company were approximately $8,120 as of March 31, 2013. A deferred tax liability should be recorded for taxable temporary differences attributable to the excess of financial reporting amounts over tax basis amount in domestic subsidiaries However, recognition is not required in situations where the tax law provides a means by which the reported amount of that investment can be recovered tax-free and the enterprise expects that it will ultimately use that means. The Company has not recorded any such deferred tax liability attributable to the undistributed earnings of its financial interest in VIEs because it believes such excess earnings can be distributed in a manner that would not be subject to income tax. You can get a copy at the publisher or from Amazon.